I thought i'd add something a little different to the blog today, something that makes a change from my ramblings about clothes and beauty, although i'm sure those topics will sneak there way into these posts too! When i go through my phone i constantly find saved images and Instagram screenshots (is anyone else bad for that? ), so i thought i'd share my weekly interests with you on here. Although you may not find them particularly interesting, i seem to hoard a worrying amount of photos of food, highly coveted clothes and funny memes... no wonder i got an email today saying my iCloud space was full!! 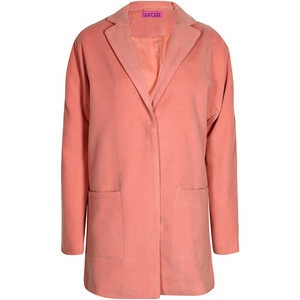 I found this coat on Boohoo which is a great dupe for the Topshop boyfriend coat that's now out of stock. I missed out on the Topshop original due my indecisiveness, so got a bit over excited when i spotted this at half the price and instantly added it to my online shopping bag. As i was about to check out it went out of stock- SO FREAKIN' ANNOYING, when will i learn to buy things when i first see them? 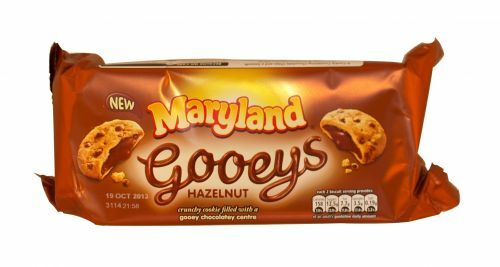 Totally random, but these cookies are so good i've eaten nearly two packets this week, oops. As if a cookie isn't good enough on its own, these have a soft centre which tastes just like Nutella- what a dream. You'll be thanking me when you try them! I've been obsessing over Kylie Jenner's short hair for a couple of weeks, it's making me think about getting mine cut shorter again, and it makes me miss my ombre colour. Infact i just want to look like her in general- i'll look into the plastic surgery once i've had my hair done!